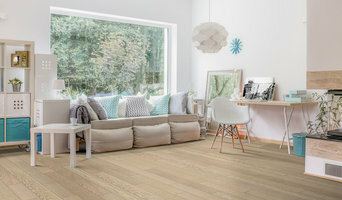 *Authorized Armstrong Dealer* If you're looking for an Edmonton, AB, flooring contractor that's knowledgeable and has 25 years of experience in dealing with flooring products, visit Ashley Fine Floors for excellent service and workmanship. We offer great customer service and are clean, honest and fast. We will also complete the job promptly. At Ashley Fine Floors, we take pride in maintaining the highest commitment to quality. To us, quality means more than just providing the best products. We believe in going the extra mile to provide the most memorable customer experience possible. This means valuing your home, ideas and your budget as though they are our own. Our team gives careful attention to detail, staying within financial guidelines and keeping a clean, efficient, work site. Whether you need vinyl tile in a rumpus room or hardwood for a commercial project, Ashley Fine Floors will make sure you receive the best we have to offer. From the best products to the best services, to the best advice and contractors available, we make sure your experience is exceptional on all fronts. Artison's Floor Fashions Ltd. is a family owned and operated floor covering store. Owners, Mike and Hartley Ekert, have over 40 years of combined floor covering sales and installation experience. The Ekert family started in the flooring business in 1957. Artisons offers old fashioned, friendly service for all its customers. Whether you just have a question or are renovating a complete home, we can help you to make the right floor covering choices. Artison's Floor Fashions Ltd. is a member of the Edmonton Better Business Bureau and is well known in the community with hundreds of satisfied customers. Artison's Floor Fashions Ltd. would like the opportunity to assist you with all your flooring needs. With years of experience and family pride in our work, we can make your renovation experience, whether it's a small washroom or a whole house, go smoothly. "Artison's Floor Fashions...Redefing Your Home!" Artison's Floor Fashions Ltd. specializes in quality name brand carpet, ceramic, vinyl, laminate, and hardwood with a wide selection to choose from. When you visit Artison's Floor Fashions Ltd. you will be greeted by friendly, knowledgeable staff who will assist you with your floor covering needs and offer you a solution that's best suited to your budget. We pride ourselves in building long-term relationships with our customers and our suppliers. Many of our customers have returned to us multiple times for their floor covering requirements... that shows customer satisfaction, loyalty and dedication! Artisons Floor Fashions is a Premium Karndean Designflooring Retailer. Leave carpet installation to the professionals. There are lots of moving parts that go into installing carpet in Edmonton, AB, and you’re better off letting qualified Edmonton carpet installers handle each one of them. From accurate measuring, to precise installing to removal of old carpeting or flooring, an Edmonton, AB carpet installer will know all of the ins and outs of getting the job done correctly and efficiently, so that you can peacefully enjoy the new product underfoot without having to lift a finger.